Slow juicers tend to be quite expensive comparing to the fast juicers with the prices starting at over £100 so when I saw Aldi’s Ambiano slow juicer for sale at £39.99 I thought that was an amazing deal. I really wanted to have it and I then got it as a present from my fiance for my birthday. 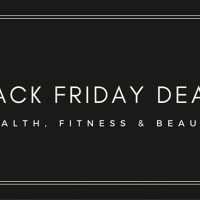 I previously wrote about juicing for weight loss and health here – here you can also read my honest thoughts about juicing. And now onto the review..
I’ve never had a slow juicer or any type of juicer before so when I first started using Aldi slow juicer I didn’t know what to expect. There was no other juicer I could compare it with. Nevertheless, I had an open mind about it and was hoping for a good experience. To assemble all the parts together I carefully read all the instructions and followed them. The first time I put it all together was a little bit tricky – I wasn’t sure how everything was supposed to fit in. Am I supposed to hear some clicks? How do I know I put all the parts together correctly? I figured it out at the end. I had to make sure everything was put together properly otherwise the juicer wouldn’t work. This safety mechanism is a good thing as otherwise you risk damaging the juicer. When assembling the juicer you shouldn’t force anything. If it feels forced you probably haven’t slotted in the parts together correctly and you need to adjust them. To avoid any issues make sure you assemble parts in the order which is described in the Instructions booklet. The juicer is very simple and doesn’t have many settings which makes it easier to use I guess. You have an ON button which sets the juicer in action and then the off button which turns off the juicer. You also have the reverse button (R) which reverses the motor. This is useful when the food becomes stuck. The feeding tube is not that large and for optimal extraction you should cut food into pieces no larger than 5cm. For hard fruits and vegetables it’s recommended to cut them into 2cm cubes. Cutting fruits and veg is probably my least favourite thing to do when using this juicer. 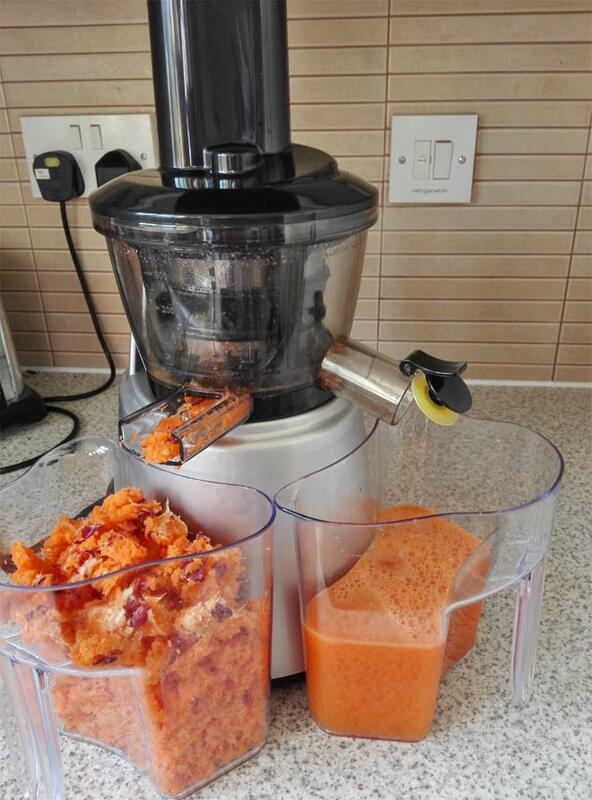 It can take a bit of time when I want to make lots of carrot juice. I understand that there are juicers out there where you don’t even have to cut the foods, you just feed them in as a whole. But everything has a price… I am quite happy to do this for the price we paid. The juicer doesn’t remove all the fibre from fruits and veg and this is actually what I love about this juicer. You get some bits with a juice but these are all good for you – fibre is great for your stomach and many juicers completely remove it. It’s actually better if you can add some in if you can. I know some people prefer their juice to be smooth but I am not one of those people. On the packaging it says that the juicer is easy to clean but is it? Yes, there are parts which are really easy to clean but when it comes to the bowl, it may be a little bit tricky. The pulp tends to get stuck in the beginning of pulp outlet, just underneath a yellow rubber pad. Luckily, with a juicer you also get a cleaning brush which is very handy for this. I use the end of it to dislodge the stuck pulp while rinsing the bowl under the running water. This works well enough but on occasions I have to spend a little bit more time poking into the pulp to get everything out. When cleaning, you also need to pay more attention to the strainer and again the cleaning brush is very useful for this. All in all, the Aldi slow juicer is a great value for money and if you want a better-quality juice but don’t want to spend over £100, then this juicer is definitely for you. It’s not perfect but still, it makes a great juicer which I am happy to recommend. If you would like to buy this Ambiano juicer, Aldi brings it to their stores all the time so look for it in your local store to see whether it’s available. What Is Wheatgrass and Why Is It Beneficial For Health? That looks like a great deal. I end up juicing only a handful of times a year because I hate cleaning it so much! I know, cleaning is my least favourite part too! But still, I like to use my juicer at least a few times a month if not more often, depending on my mood! Aldi Slow Juicer one of the best juicer on the market because of its super assemblies, easy to clean and anyone able to use this juicer very easily who does not have a single knowledge about juicer operate. if you want to build a healthy life with proper nitration from fruitiest and vegetables you should be friendly with juicer. there are many juicer on the market, Aldi Slow Juicers one of the best you can also look over other branded juicer also if you interested. I think Aldi juicer is an affordable juicer, great for those who are new to juicing. I don’t think it’s the best but it’s really good for the money you pay. Hi Petra! Thank you for this review. Do you think you can make fruit ice-cream and nut butter on this machine? Hi Renata, no this machine is only suitable for juicing, nothing else. For nut butters you need a really powerful blender. I am glad to hear that you are a fan of Aldi juicers as well. Hopefully they keep stocking them in the future as they are really affordable. This is my first juicer so I am not sure exactly what I should expect. I believe that there are juicers out there which remove all the fibre but that’s not a good thing. The juice is healthier if there is some fibre left in it. 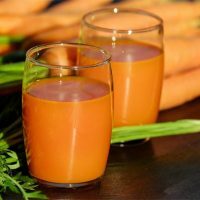 You will get much more fibre in carrot juice as carrots are really hard. The fibre gets to the bottom of the glass so you have to stir the juice before drinking it. 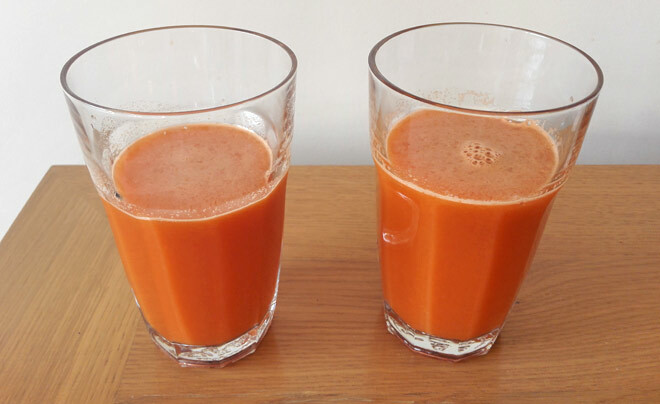 When making a carrot juice it’s better to add other fruits/veg such as apples so that the fibre from carrots is diluted (like that it’s easier to juice carrots as well). Otherwise the fibre will be quite noticeable when drinking the juice. It’s really about your preference. Some people like bits in their juice, some people don’t. And when it comes to juicers, I believe that some are better than others when it comes to how much fibre is left in the juice. The best is to read lots of reviews and then decide which machine you think it will work better for you. Hi Ziggy, I have bought the one you refer to in Aldi and have just finished using it for the first time. First impressions? Very good.No labouring sounds from the motor when using, fast efficient extraction and surprisingly easy to clean.In less then 10 mins I assembled it, prepared 8 apples, seeded a large Pomegranate and cleaned the unit. Result, just over a Litre of apple and Pomegranate jucie and a clean kitchen. Leaves my other juicer for dead. No oxidation taste to the juice with a little bit of the fibre left in it. Will be making a couple of litres of breakfast juice tonight and giving the frozen desert attachment a try with frozen Bananas and Strawberries. Is this like a cold press juicier? It is a cold press juicer. Hi, yesterday I buy this juicer and I think it’s very good. Do you think it is possible to make non-dairy milk like almond milk with this juicer ? I am not sure, to be honest, I don’t think it’s that strong. From what I read online you need a powerful blender to make an almond milk not juicer. Thanks for your review. I also have the juicer and have been very pleased with it. I particularly like its relatively quiet motor and the dryness of the pulp that is ejected. Definitely worth the money. Hi, I’ve been given an Aldi’s Ambiano slow juicer. Unfortunately the instruction manual is missing from the box and I haven’t got a clue on how to use it! Does anybody know where I could get one please? I tried on line but no success!